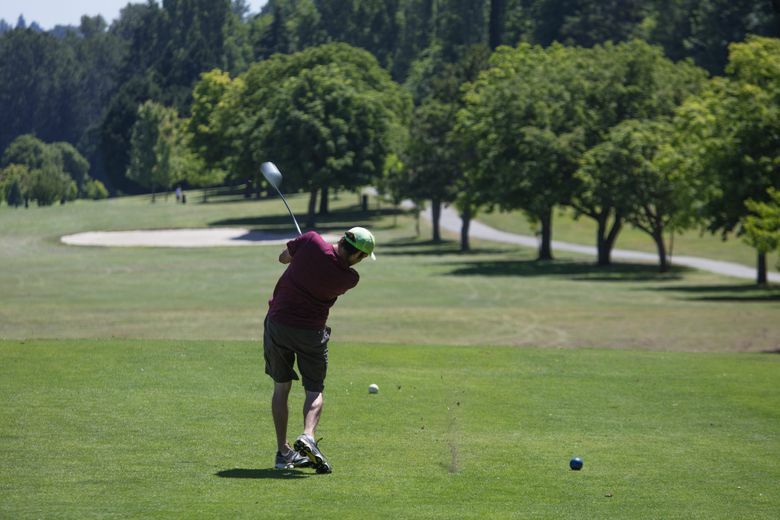 Despite the city’s commitment to lower its use of pesticides, Seattle continues to apply thousands of gallons of pesticides to its parks and golf courses each year. And some parks the city branded “pesticide-free” have been treated with pesticides as recently as this spring. Almost 20 years ago, the city of Seattle — under pressure from environmental groups and children’s advocates — vowed to reduce the amount of pesticides sprayed on public lands. Promising to phase out the most hazardous products, the city developed strategies and guidelines that prioritized eco-friendly methods of removing and preventing weeds. The measures showed early signs of success, with a 30 percent reduction in overall pesticide use over three years. But the lofty plan of a phaseout soon faltered. Pesticides the city considers among the most hazardous are still a regular part of its anti-weed arsenal, according to a city database obtained by The Seattle Times. 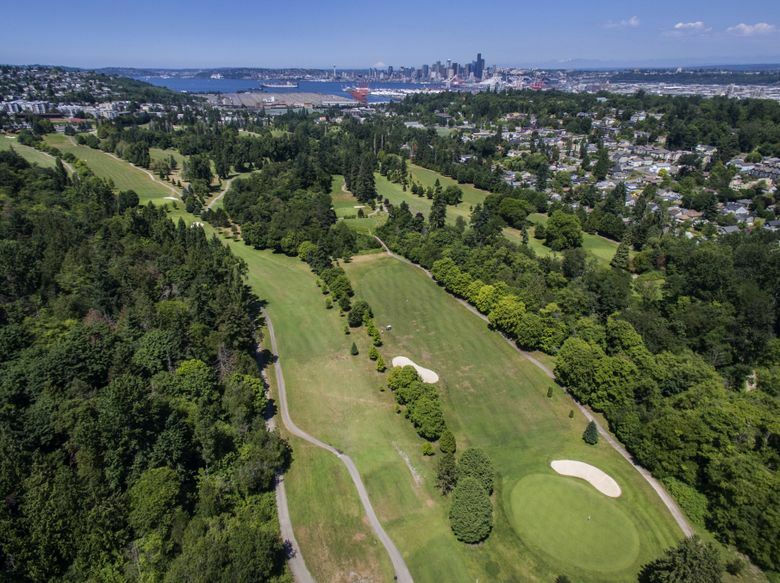 Seattle Parks and Recreation sprayed more than 76,000 gallons of products containing those chemicals between 2012 and 2016, mostly to keep Seattle’s four golf courses well-groomed. That’s up from about 64,000 gallons in the five years prior. 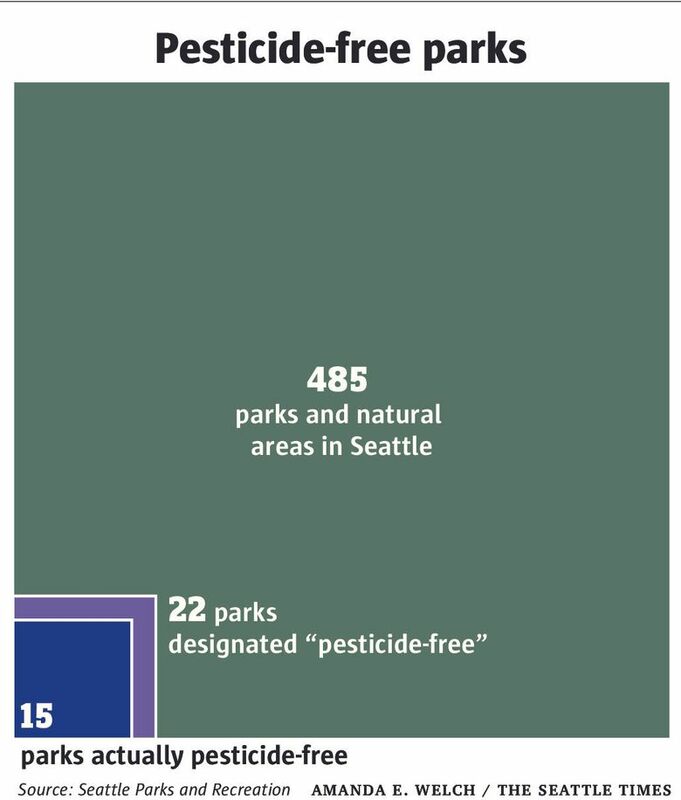 And some parks that the city has branded as “pesticide-free” have been treated with pesticides as recently as this spring. Meanwhile, new research has emerged showing that pesticides commonly sprayed at developed parks and playgrounds across the city may be more dangerous than initially thought. Glyphosate, the active ingredient in the popular product Roundup, was flagged as a possible human carcinogen by an international agency in 2015. 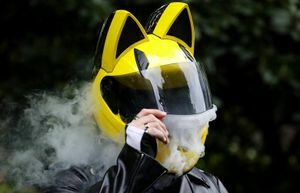 Despite policies that encourage the city to consider the developing science, Seattle has done little to use that new research to alter its spraying habits. In 2016, Parks and Recreation conducted 732 pesticide treatments in parks that were either developed or in active restoration. More than 60 percent of these applications included glyphosate. A Parks and Recreation official acknowledged that the agency’s pesticide-reduction efforts have not been up to its standards. In 1999, Seattle contracted with the Washington Toxics Coalition — a nonprofit that advocates for the use of safer products, chemicals and practices — to help evaluate and target pesticides for elimination and reduction. Philip Dickey, then a staff scientist for the coalition, created a tiered system based on a series of assessments from both federal and international regulatory agencies. The city focused on eliminating or phasing out products in the top two tiers. The most harmful pesticides are in Tier 1, and include those determined to be likely carcinogens, endocrine disrupters or a hazard to birds, fish or bees. Tier 2 pesticides are considered to be “of moderate concern.” Among those are Monsanto’s popular series of Roundup products, most of which include glyphosate. Glyphosate was labeled “probably carcinogenic” after undergoing a hazard assessment by the World Health Organization’s International Agency for Research on Cancer [IARC] in 2015. Relying primarily on earlier studies involving mice, the IARC linked glyphosate to potential increased risk of Non-Hodgkin lymphoma, a cancer that develops in blood cells. The finding should have triggered a process that would bump it to Tier 1, ultimately leading the city to reduce or discontinue the chemical’s use. Yet records show Parks and Recreation has continued to use Roundup and label it a Tier 2 product. According to the database maintained by the department, the use of mixes containing glyphosate actually increased from about 570 gallons in 2015 to almost 1,500 gallons in 2016 — the highest level in the past nine years. The IARC’s decision has prompted actions elsewhere — California is adding glyphosate this month to the state’s list of known carcinogenic chemicals — but also has been received skeptically by others in the scientific community. The federal Environmental Protection Agency and the European Chemical Agency have since said that available evidence does not point to glyphosate as a carcinogen. Despite the city’s protocols, DeCaro, of the parks department, said she was hesitant to react to the IARC decision given that disagreement. Seattle’s Interdepartmental Team on Integrated Pest Management (IPM) — the group charged with implementing more environmentally sensitive strategies that prioritize pest control, rather than eradication — looked at the IARC report in 2015 but decided to wait for the EPA’s review to make a decision, DeCaro said. But Dickey, who developed Seattle’s policies and retired from the Washington Toxics Coalition (now called Toxic Free Future) in 2008, had a different take. He said reviews of chemicals are not annual, so the most recent result ought to be given appropriate weight. Another suite of products the city has continued to use, but to a lesser degree, is Tier 2 herbicides like Garlon 4, Element 4 and Surflan AS. Their active ingredient, oryzalin, has since 2008 been listed as a carcinogen by the California EPA, another one of the four agencies whose findings should trigger a reevaluation in Seattle. But products that already have been assigned a tier are rarely reevaluated by the IPM team, DeCaro said. In response to a request for the most recently updated tier table, the Parks Department provided a document dated March 2009. Around the time the city got serious about phasing out Tier 1 chemicals, it also rolled out a new initiative: pesticide-free parks. There are now 22 scattered throughout the city. But, The Times found, the label does not mean the parks are actually pesticide free. 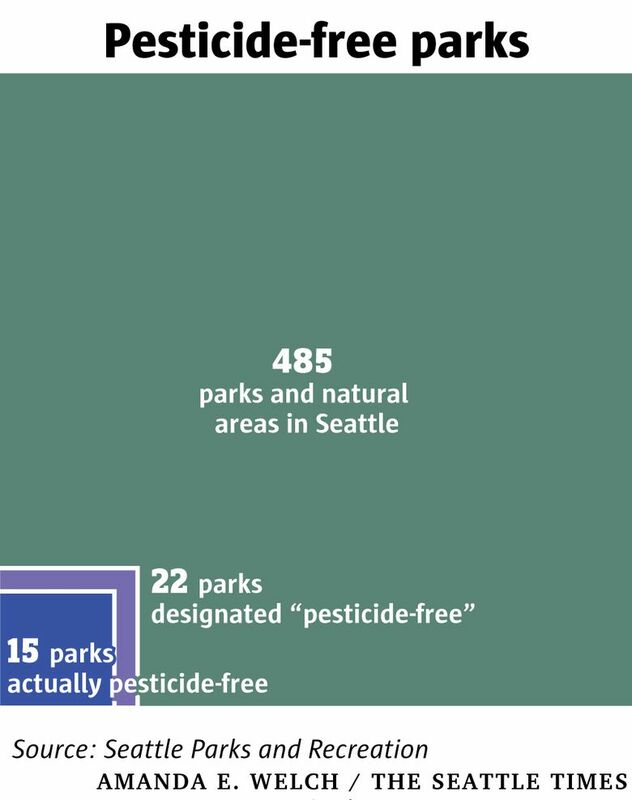 In recent years, city data show, seven of those “pesticide-free” parks were treated with pesticides, including five sprayed with Roundup. They include Benefit Playground in southeast Seattle; Fairmount Playfield in West Seattle; and Regrade Park, a downtown off-leash area for dogs. The city’s IPM team will occasionally allow an exception. That was the case over a period of three days in February 2016, when “pesticide-free” Lake Union Park’s shrub beds were treated with 28 gallons of a solution containing Surflan and Roundup, according to city data. That was one of three exceptions granted between 2007 and 2016, though only two were used. When read the list of pesticide-free parks that had been sprayed in the past 10 years, DeCaro misidentified three of the five parks as not pesticide-free. Parks isn’t the only department that uses Roundup and other pesticides on city lands. Other land managers include the city’s transportation department and Seattle City Light. 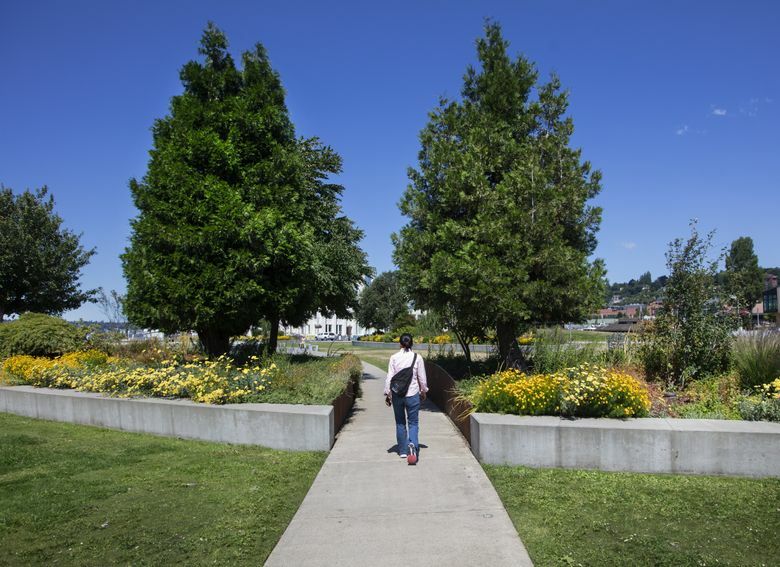 In the past five years, Seattle Center has sprayed an average of 130 gallons per year of herbicides on its shrub beds, tree pits and hardscape, according to city data. 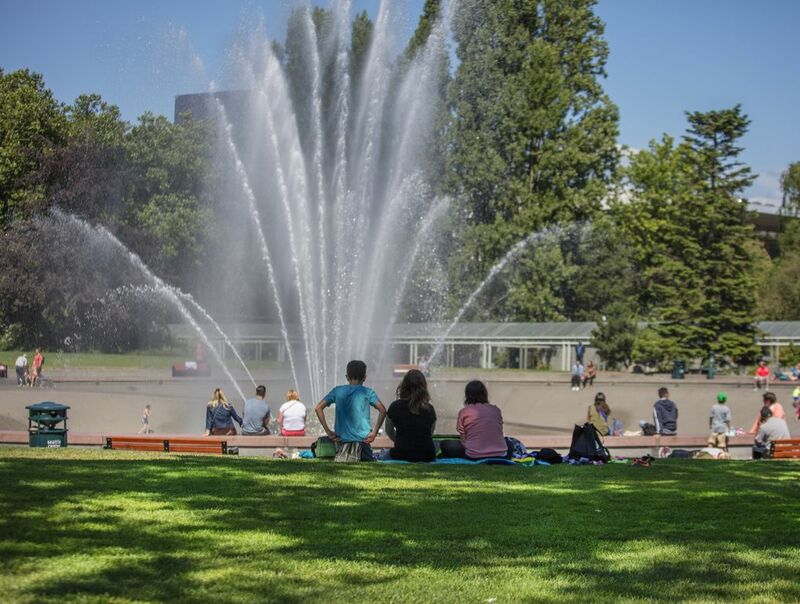 In April and May 2017, the Center sprayed 36 gallons of diluted mixtures containing RangerPro or Roundup Pro to combat weeds around the International Fountain, the sidewalks adjacent to the Neototems Children’s Garden and the trees surrounding the Seattle Children’s Theatre, among others. 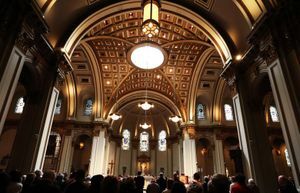 Since retiring from the toxics coalition about 10 years ago, Dickey has continued to work with San Francisco, which has adopted many of the same basic procedures and protocols he recommended for Seattle. While initially based on Dickey’s protocol, San Francisco’s guidelines for evaluating pesticides were updated in 2013, according to Chris Geiger, a manager of the Integrated Pest Management Program in the city Department of the Environment. And each year, San Francisco conducts a review of its pesticide classification list and publishes an updated version. Its 2017 Reduced Risk Pesticide List, updated March 21, gives use limitations and alternative chemicals. Roundup Custom and Roundup ProMax, whose active ingredients are glyphosate, are both listed as Most Hazardous (Tier I). Both Geiger and DeCaro noted it is difficult to find glyphosate alternatives that are less dangerous. If Seattle decided to bump glyphosate up to Tier 1, the city likely would have to weed by hand or turn to alternative systemic herbicides — a challenge, given the appealingly short time Roundup remains in soil, DeCaro added. Though San Francisco’s Parks Department has reduced its use of glyphosate-based products by about 80 percent since the IARC ruling on glyphosate, Geiger acknowledged the controversy surrounding IARC’s decision has somewhat complicated the topic. But it’s unclear to what extent Seattle has continued to push toward this standard.